Don Fairbrother: well on the road to ultimate victory. 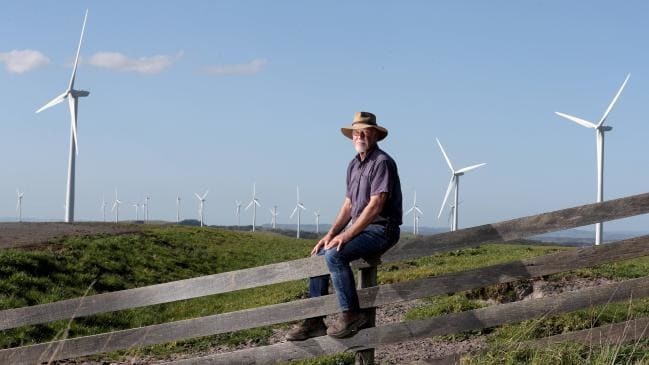 A group of Victorian farmers – tormented by wind turbine noise for years – have finally been vindicated with their Council declaring it an unlawful nuisance. The community surrounding the Bald Hills wind farm, built by a Japanese developer, Mitsui and Co, have been tortured by incessant turbine generated low-frequency noise and infrasound since March 2015, when its 52, 2 MW Senvion MM92 turbines spun into action. Neighbours started complaining to the developer about noise, straightaway. But, as is their wont, the developer and its goons simply rejected the mounting complaints and carried on regardless. As we explain below, that callousness will soon come back to bite them. Locals, however, were not perturbed. Instead, they lawyered up. Engaging the feisty and tenacious Dominica Tannock. Starting in April 2016, Dominica went after the South Gippsland Shire Council which, under the Victorian Public Health and Wellbeing Act 2008 has responsibility for investigating nuisance complaints and a statutory obligation to remedy all such complaints within its municipal district. The Council, no doubt pressured by the Japanese developer, firstly refused to investigate the numerous complaints made about wind turbine noise. Then, after further pressure from Dominica, the Council engaged in the pretence of an investigation, sending one of its environmental officers to one of the complainant’s homes to “listen” to the noise for a few minutes and – rejecting a request to carry out indoor/outdoor noise measurements – claimed it was “not normal practice for Council to use noise level readings” to investigate noise nuisance complaints. The Council claimed that all it had to do to satisfy its obligations under the Act was to send one of its officers to the complainants’ homes, listen for a few minutes (irrespective of whether the turbines were operating or not) and close the complaint. Instead of carrying out anything like an investigation, the Council threatened the complainants that it would vigourously defend any legal action pursued by the complainants and chase them for the Council’s legal costs when it won. Otherwise, the Council simply ignored the complainants. Dominica Tannock didn’t let up. 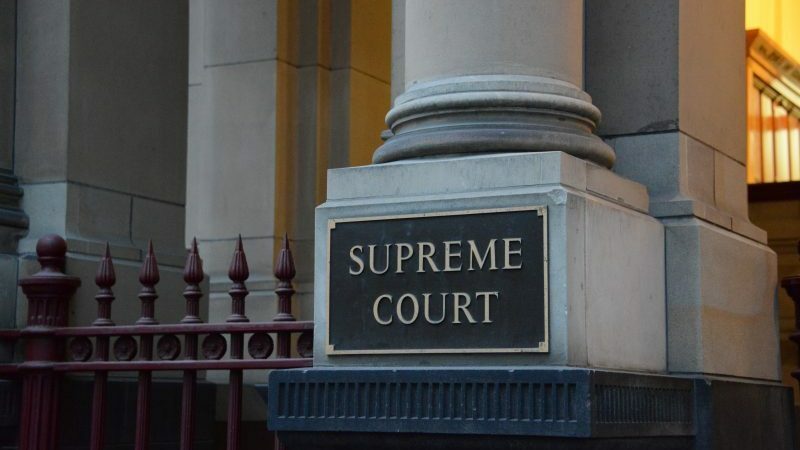 Dominica’s clients launched an action in the Supreme Court of Victoria, which rejected the Council’s claim that there was no nuisance being generated by the Bald Hills wind farm and ordered the Council to launch a proper, independent investigation into the complaints made by the plaintiffs. That was in August 2017. 12 months later, an independent investigator has deemed that the turbine noise generated constitutes a nuisance, rendering the Council liable to act under the Public Health and Wellbeing Act 2008. We gave detailed coverage of the operation of that Act here. Now, finally, after kicking and screaming for years, the Council has been forced to accept the inevitable conclusion. The noise generated is a nuisance and, accordingly, an unlawful interference with the use and enjoyment of residents’ homes. In the confidential section of its Meeting, Council found that the Bald Hills Wind Farm had caused nuisance to some of its neighbours. C. The weight of the other evidence presented to Councillors suggests the existence of a nuisance. But notes that the nuisance exists only intermittently. Mayor of South Gippsland Shire, Cr Don Hill was pleased that Council had made a decision on the matter. “Council has had to digest an enormous amount of material; specialist reports, legal advice, for example, over a long period of time and at all times Council has been aware of its responsibilities under the various Acts to come to a decision that is supported by the data. Council has considered this matter at length and did not come to its decision lightly,” said the Mayor. Council has written to the lawyers representing both the operator and the complainants, with approval to release the decision to the public once complete. It is hoped that the parties will be able to negotiate a mutually satisfactory resolution now that the finding has been made. A report will come to a future Council Meeting recommending which of the documents pertaining to this decision should be made public. Don Jelbart: set to punish his tormentors. Well, that’s the Council’s side of the story. In fact, what won the day for locals was a 38 page written opinion drawn up by one of Victoria’s top Queen’s Counsel, Paul Connor. The QC’s opinion (currently under embargo) held that the local’s complaints were not only credible and consistent, they were, in fact, the best evidence of the existence of an actionable nuisance. Based on their evidence, the QC had no hesitation in finding that the noise from the Bald Hill’s wind farm constituted a nuisance contrary to the statutory nuisance provisions of the Public Health and Wellbeing Act. Referring to the evidence of the local complainants – all of whom complained about constant sleep disruption and sleep deprivation caused by wind turbine noise – the QC, relying on a long line of common-law authorities, reasoned that “The loss of even one night’s sleep may amount to such a substantial interference with personal comfort as to constitute a nuisance”. The long-suffering folk at Bald Hills have lost a whole lot more than a single night’s sleep. I certainly protest against the idea that, if persons, for their own profit and convenience, choose to destroy even one night’s rest of their neighbours, they are doing something which is excusable. To say that the loss of one or two nights’ rest is one of those trivial matters in respect of which the law will take no notice appears to me to be quite a misconception, and, if it be a misconception existing in the minds of those who conduct these operations, the sooner it is removed the better. Little wonder, then, that the QC reached the unequivocal conclusion that the wind turbines at Bald Hills are generating an unlawful nuisance for residents. The Council hopes “that the parties will be able to negotiate a mutually satisfactory resolution”. STT doubts it. Instead, STT understands that the locals have instructed their tenacious lawyer, Dominica Tannock to pursue the developer for very substantial damages in the Victorian Supreme Court. With a Council resolution and a top-flight QC’s opinion in their pockets, the result is a foregone conclusion. And about time, too! Congratulations from Canada. It is negligent that citizens should face Councils who are closed minded where their mandate to protect people is concerned, and outstanding that these people did not quit and that somewhere, there are some people in positions of power that will act to protect people. As penance, those on Council who merely paid lip service should be made to travel to other municipalities to speak of their experience, because brothers and sisters – its the same dang thing happening here.Well done! In 1999 it is likely that the building of nuclear power stations would have been viewed as a matter of Federal Public and Capital Works. But that is not how they are built nowadays. Frequently they are built as joint ventures between private corporations, sometimes, but not always in business conjunction with the regional Governments. It is worth noting, that in a recent survey on the question of nuclear power in the USA, the American population has regained interest and is now equally divided. Section 140A looks increasingly shaky…! I have always said, the wind turbine industry needs to start erecting their wretched structures only on the foreshore of Port Phillip Bay, and from Palm Beach to Cronulla to understand their viability both from a nuisance angle and an aesthetic angle. Then we’ll know just how viable an alternative industry they shall be. Spot on ‘son of a goat’. It’s an amazing thing but it appears that about the only leader with a ‘spine’ in the entire ‘Western World’ is the much maligned president of the world’s greatest democracy Donald Trump – a man not afraid to call wind farms to account, or anything else. Meanwhile all our nation’s leaders pay homage to the greatest scam ever perpetrated in this country with scant, and dismissive, regard for its citizens. Bald Hills community members fighting this battle are national heroes, hang in there we will all benefit and will all be in your debt. Well done too all concerned for this fair and just outcome. A substantial payout to those local residents might make these Totally unscrupulous lying money grabbing WindWeasels think a little more before they start spearing their Useless Noisy Oil Leaking Subsidy Sucking Windturbines where they are not wanted and definitely not needed. There are a couple local councils here in SA’s Mid North who have bent over backwards to allow the intrusion of the WindWeasels and totally ignored the destruction of the once peaceful lives of those who pay their grossly inflated salaries in the name of signalling their Green Virtue and filling the Councils coffers with considerable Developement application Fees that equates to 1% of the Value of the project. For example a $180 Million Wind farm will net the Local Council $180,000.Not Bad chaff if you can get it. Might not be so great once the Councils have to start paying Compensation for the Totally Pointless Destruction of Rural Landscape Landscapes. Well Done Dominica Tannock and Team. Keep up the good work as their are hundreds more long suffering Rural people that are hoping justice will prevail. It was April fools Day but the lunacy of Australia’s political parties on energy policy was no joke but sadly a death knell for cheap and reliable power generation for Australian industry and its citizens. Firstly the greens under the auspices of that nitwit De Natale brought out a policy of closing down all coal fired generation within a decade combined with closing down Australia’s largest export earner coal within a decade. Of course it would all be done with no loss to the economy. Then today electricity Bill Shorten announced he would fill this country with electric cars. When questioned about the cost of his climate change driven policies he sneered at what cost is it to the environment if we do nothing. 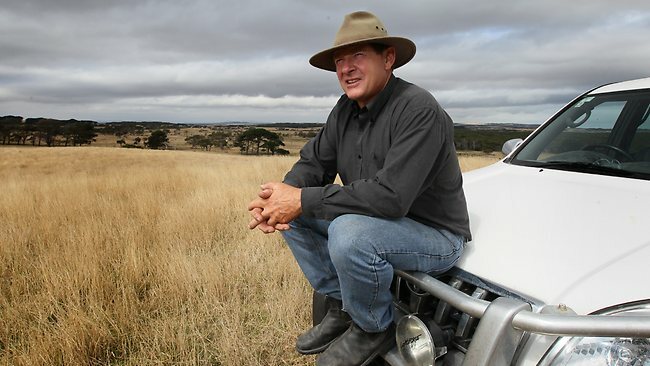 As a farmer I listened on the radio to todays country hour where a mixture of Uni professors and rent seekers extolled the virtues of carbon farming, where farmers would be paid for carbon credits in not clearing land and planting trees. Over the years I have seen and heard all these superannuation driven get rich quick schemes, softwood plantations, ostriches and lamas…….. they all end in tears. Then for a finale I read a media statement from Angus Taylors office where he gave a exploration licence for the Australia’s largest proposed offshore wind farm “Star of the South” being off the coast of the Gippsland in Victoria. One of the major honchos behind the project is a man who I like to refer to as “Chiseller.” He chiselled away at geothermal here in SA which ended in tears, this was followed by the much vaunted 600 Mw Ceres wind farm project here in Yorke Peninsula. After 10 years it lives in hope of Bill Shortens policies giving it a life line. Biomass was the next proposed venture where straw would be burnt to deliver power. Unfortunately the only thing that has been burnt up to date is taxpayers money. The 2000Mw “Star of the South” project will never get up economically but once again Morrison and Angus Taylor are posturing to the climate change herd. Angus I thought you had more spine.